We are so happy you found us! When comparing daycare and childcare centers, it is easy to see the many differences in our approach and dedication. With a unique mix of technology-filled classrooms, highly trained educational staff, and nationally accredited curriculum; what we can offer your child sets us apart from any preschool or daycare near you. Kids ‘R’ Kids of Round Rock Teravista is a learning academy that will give your child the educational foundation they deserve! 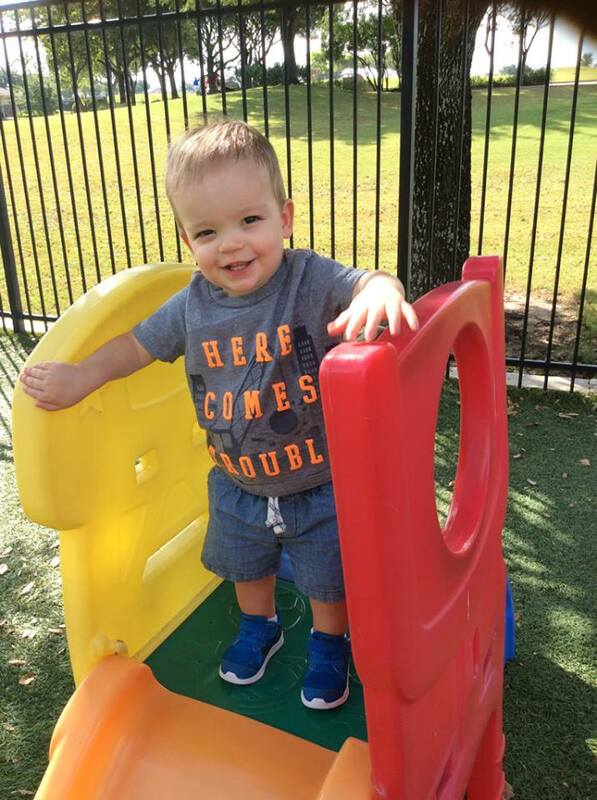 We offer programs for infants, toddlers, preschoolers, pre-K, and before/after school care, and summer camp to select schools in the Georgetown, Hutto, and Cedar Park area. 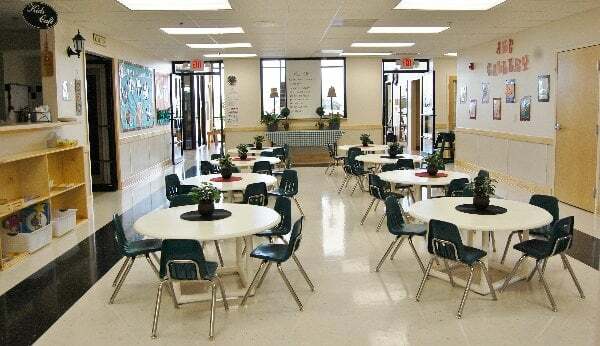 Kids ‘R’ Kids Learning Academy of Round Rock – Teravista is proud to offer state-of-the-art classroom facilities equipped with SmartBoard Technology, highly-trained and passionate teachers, parental access to live internet streaming of all our classrooms, and a proven curriculum program. We are a preschool of academic excellence, not just an average daycare or childcare! Our desire is to offer the best in outstanding education and care for children as they prepare for elementary school. We promise to meet and exceed your expectations, contact us today for a free tour! 1/13: Meet Kirby the Kangaroo, the Kids 'R' Kids of Round Rock Tera Vista school mascot! The kangaroo is known for his stability and strength, with a pouch that is used to protect its young. The kangaroo was voted on by our students, faculty and parents as the best mascot representative for our school. His presence creates a community and camaraderie for school pride among all of our families. 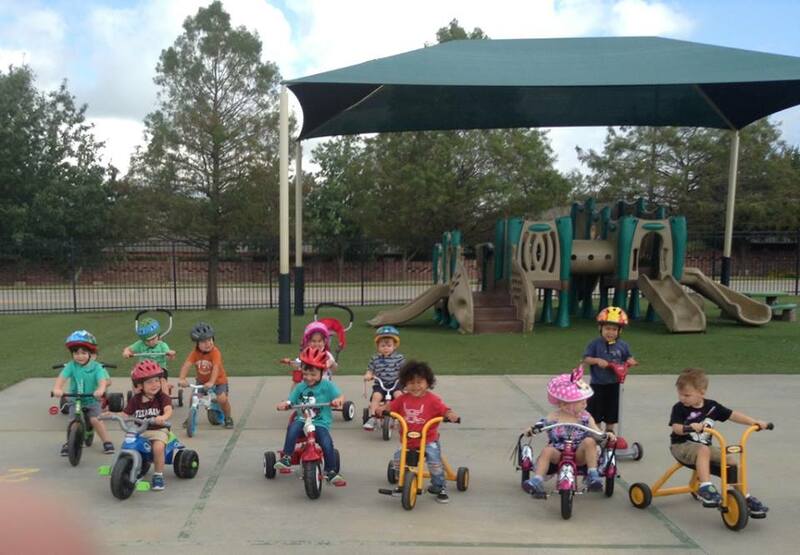 2/13: We love our Trike for Charity event! 3/13: We love to serve our fresh healthy meals in a family style manner in our Kids Cafe! 4/13: Please come by for a tour! 5/13: We have age appropriate playgrounds for each age of child development! 6/13: Our School Age Program provides an engaging and collaborative environment. 7/13: Hot summer days are fun in our very own Splash Park! 8/13: The Kids 'R' Kids exclusive STEAM Ahead® Curriculum implements various activities to develop skills in science, technology, engineering, art and math. 9/13: School buses with seat belts provide transportation to and from local elementary schools as well as to planned field trips. 10/13: Hands-on activities (such as patterns, measurements and shapes) are important for developing your child into an abstract thinker. 11/13: The Kids ‘R’ Kids Staff is central to our success. Each member is carefully selected and extensively trained to provide the best in early childhood development and childcare. 12/13: Our classrooms are filled with imagination and creativity! 13/13: We love outdoor time!